It’s the new year and you’re looking for a new hairstyle. After all, 2019 is going to be your year, right? The first thing to do to really bring out a new year is to improve the little things, one of them being your appearance and your sense of fashion and style. 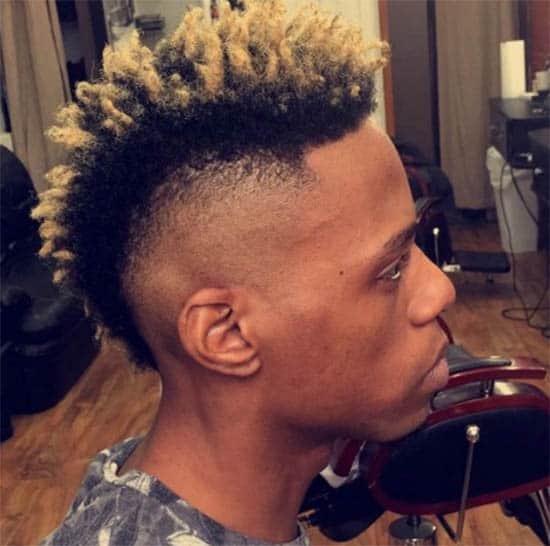 Below are 36 faux hawk haircuts (aka Fohawk) that are guaranteed to get people looking your way and allow you to introduce the new year with a newly found sense of confidence and the strongest appearance you’ve ever had. The hardest part of beginning to change yourself is taking the first step, so look over these style and pick one that you like and give it a shot. If it doesn’t work out, try another; you have all year to find one that works out. 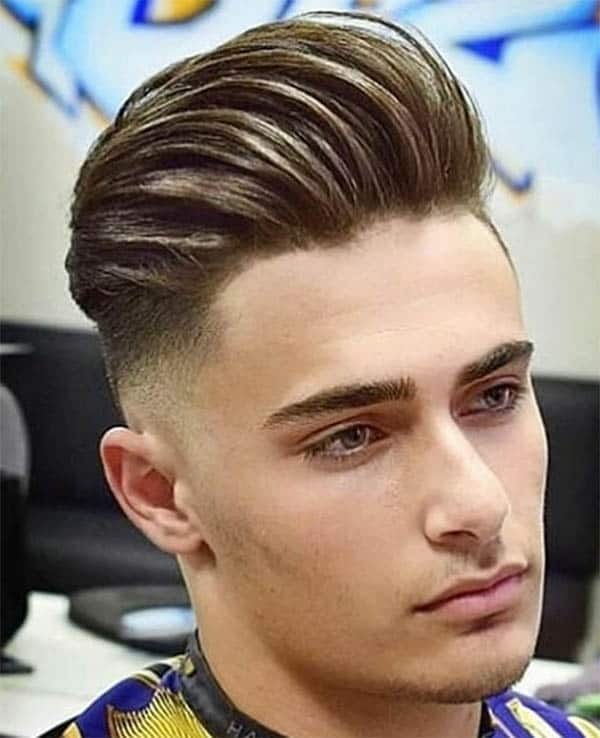 Fading a fauxhawk haircut will allow you to maintain the style of a fauxhawk while modernizing your appearance with the popular 21st Century fade. Keeping the hair skin tight and slowly making it longer is guaranteed to make you stand out. 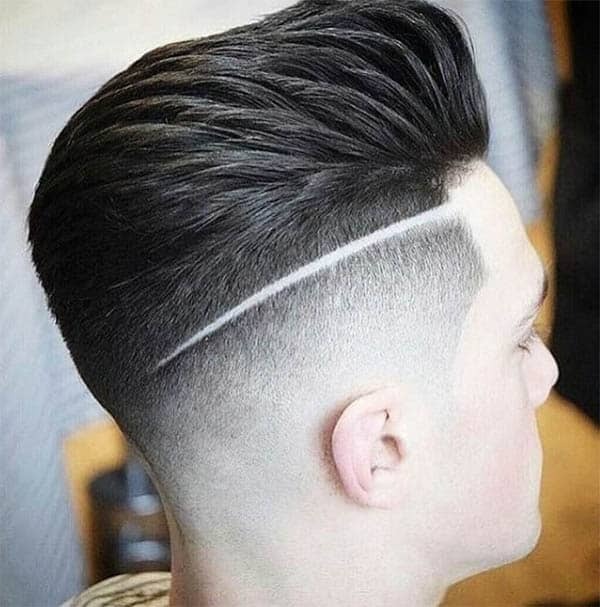 Bringing the fade higher up creates a little more of a “flashy” look. What’s important here is to make sure it’s not so high you’re unable to pull off a proper fauxhawk. When fading, make sure your fauxhawk is well grown before you create the fade. 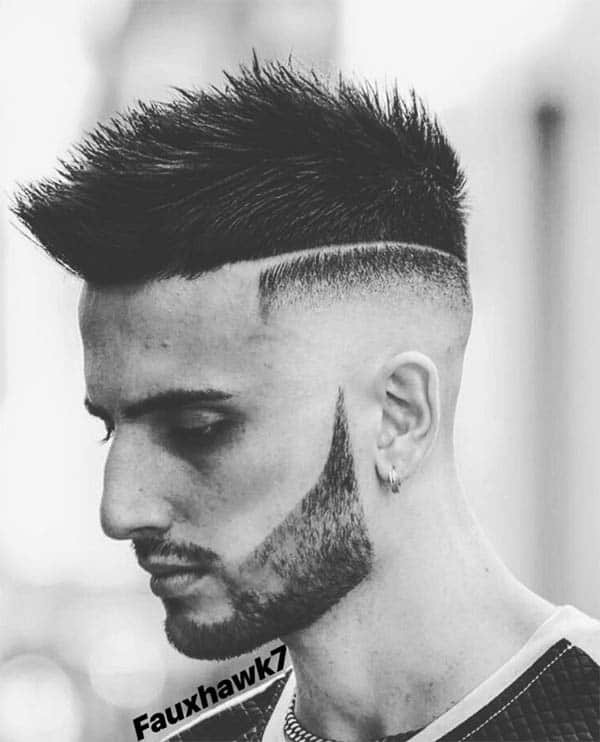 Adding a beard to your high fade will give you a strong appearance yet keep the sharpness and modern look of a faded fauxhawk. When you’re growing out your beard, it’s important to keep it well groomed and grow it no further than half way up your ear. 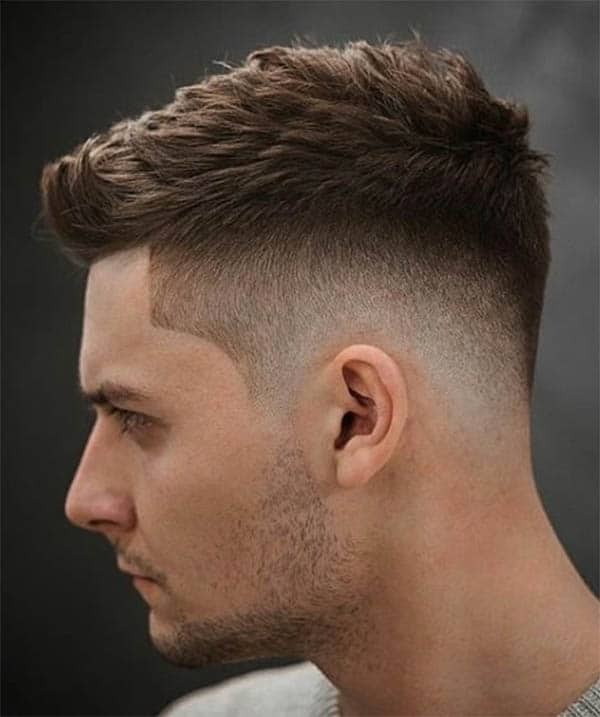 Creating a fade that starts lower down on the head and gradually gets longer as it approaches the fauxhawk will give off a more conservative look. It doesn’t have the flash of a high fade, but also allows you to maintain the slick hairstyle. 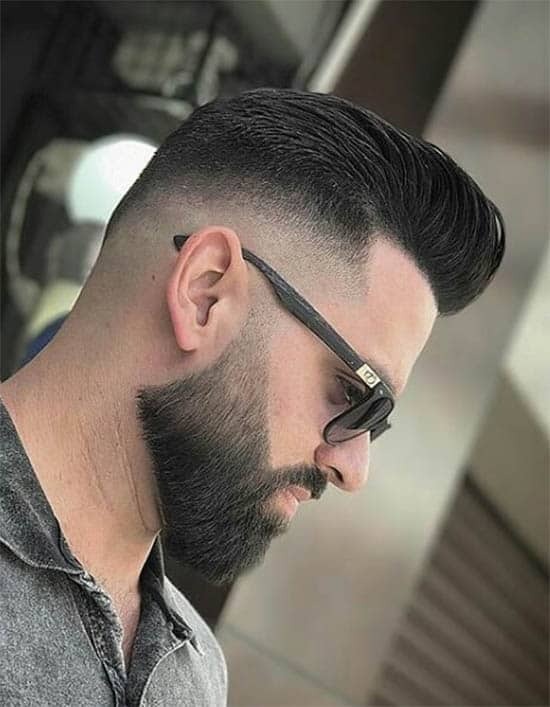 Adding a beard to your hairstyle is a way to make yourself pop a little bit more and put a little bit of an aggressive spin on your hairstyle. Like with any beard, it will only look good if it’s trimmed and well groomed. 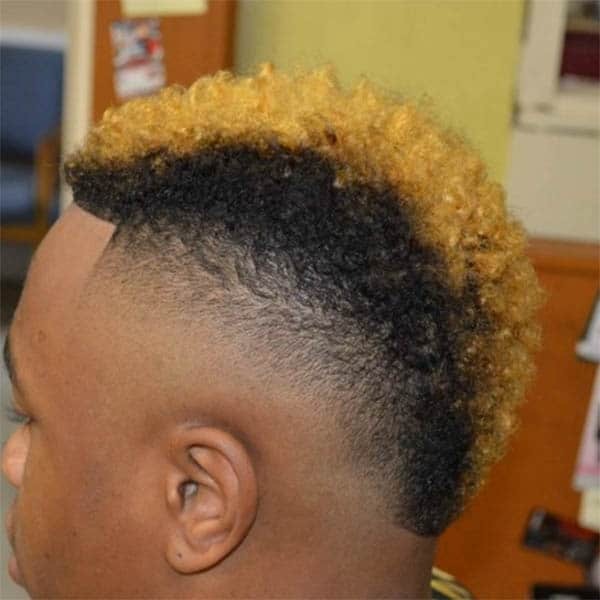 This skin fade is one of the most “out there” styles you can have and, when mixed with a faux hawk, will give you a hairstyle that is sure to have people’s heads turning. 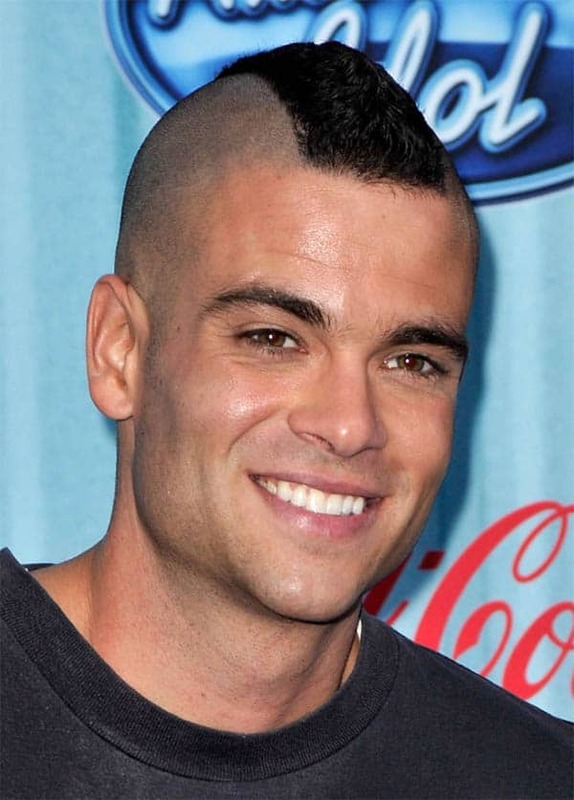 If you opt for this haircut, make sure the faux hawk is well grown beforehand. 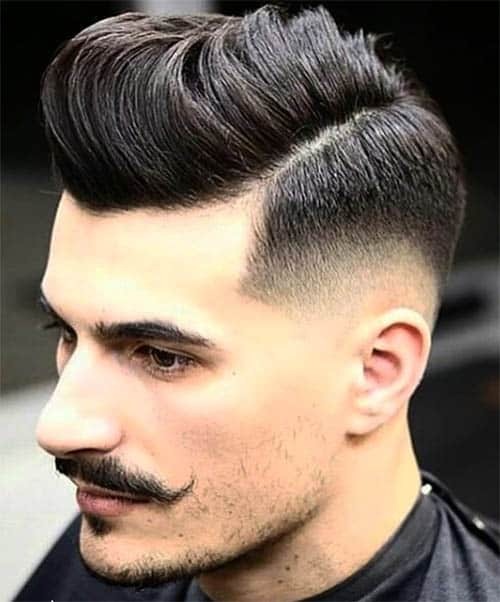 Adding a beard to this style is just intensifying your aggressive appearance by one more level. 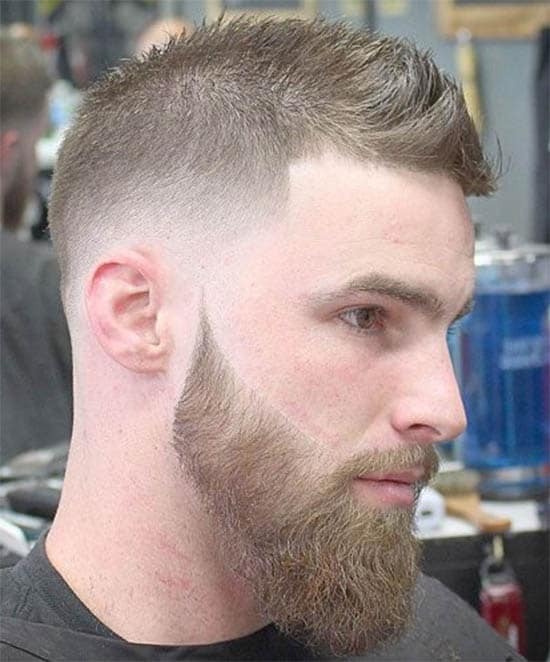 The beard will add a lot of contrast but keep you looking clean cut and professional. As always, ensure the beard is well groomed. 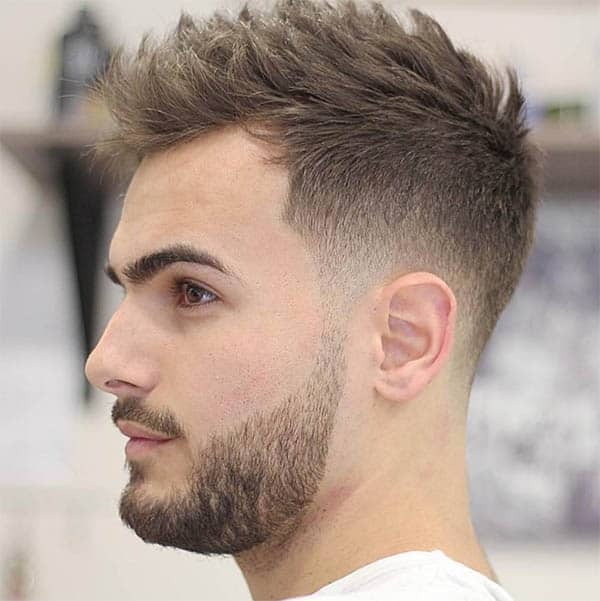 Having a high fade haircut with a short faux hawk will give off a little more of a professional appearance while maintaining the moderness of the fade. 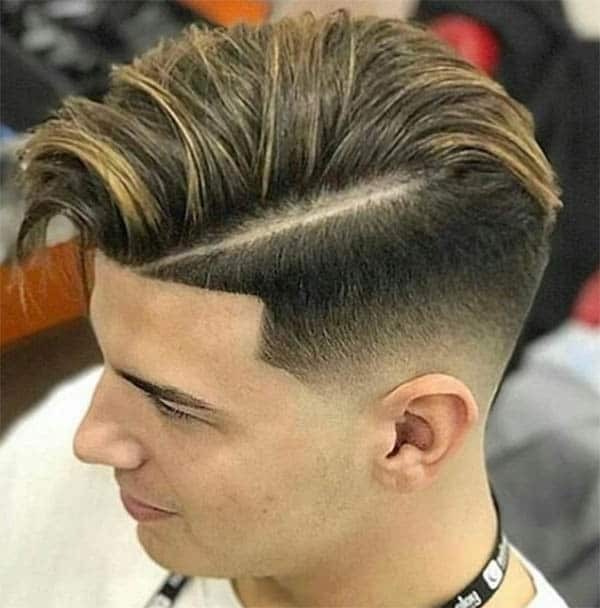 This is usually the type of haircut for someone who wants to grow a longer fauxhawk. 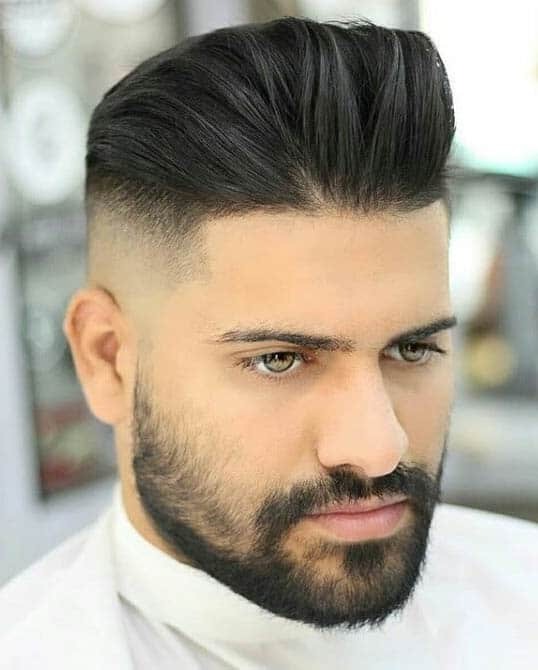 Adding a beard to this hairstyle won’t make you “pop” as much as you would with a longer faux hawk, but it is sure to get people’s attention. It mixes best when the beard is shorter and kept a little cleaner than others. 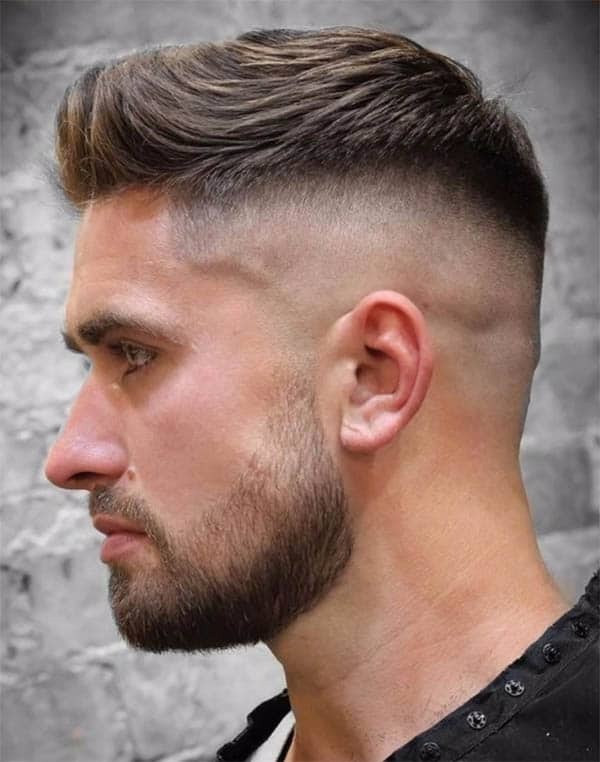 Opting for a fade that is closer to the ears and lower down on the head gives off a more conservative look and makes it seem like you have a head with a little more hair, all while maintaining a sharp look. Adding a beard won’t make you “pop” a lot either, seeing as the hair blends a little better, but it is sure to make you stand out a little. The best thing about this is that, regardless of the length of your beard, you should be able to pull it off. Keeping things skin tight will give you a good chance of looking both very professional and modern. 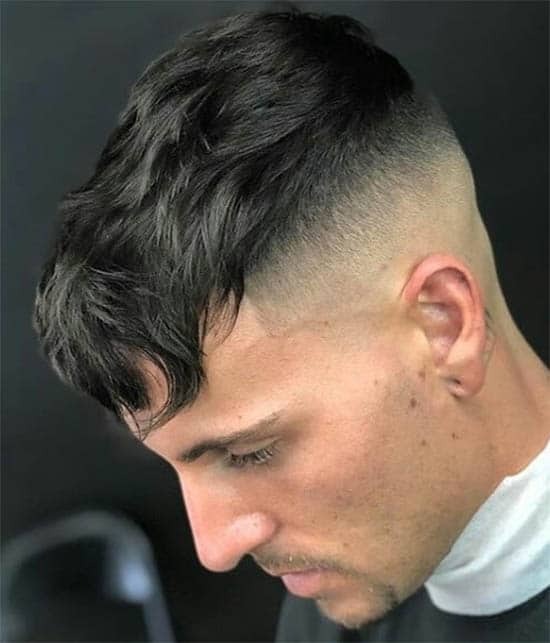 This is the kind of haircut that some military members opt for when they are able to style their hair a little. 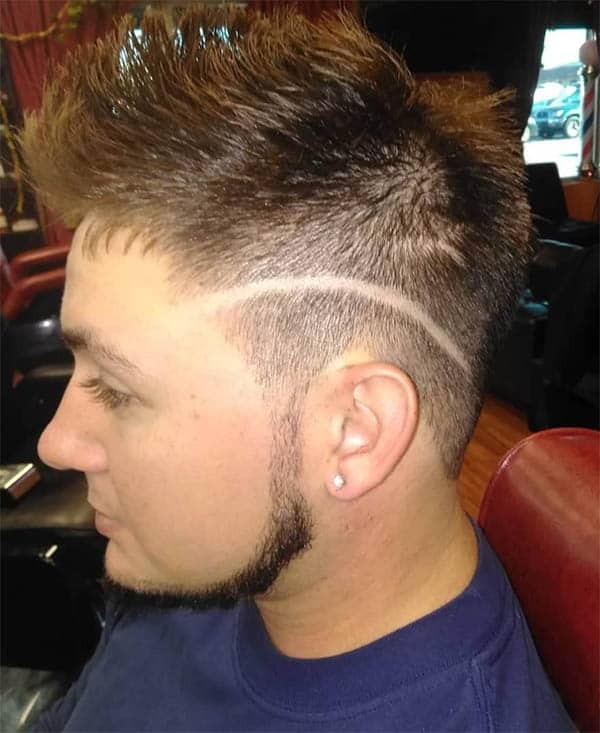 This is one of the most flashy and “out there” faux hawk style haircuts you can have. If you’re looking to stand out a little more, go for a longer beard and keep the faux hawk very short- this will create a lot of contrast. This kind of faux hawk will give you a little more of a “puff” factor to your hair. It’s essential to grow your faux hawk properly if you’re looking an undercut, so make sure your barber is one who understands hairstyles. Going for a longer faux hawk is more of a 21st-Century kind of haircut. Growing it out will take a long time; you need to make sure you’re doing it properly. However, when it is grown properly, it can look really good. 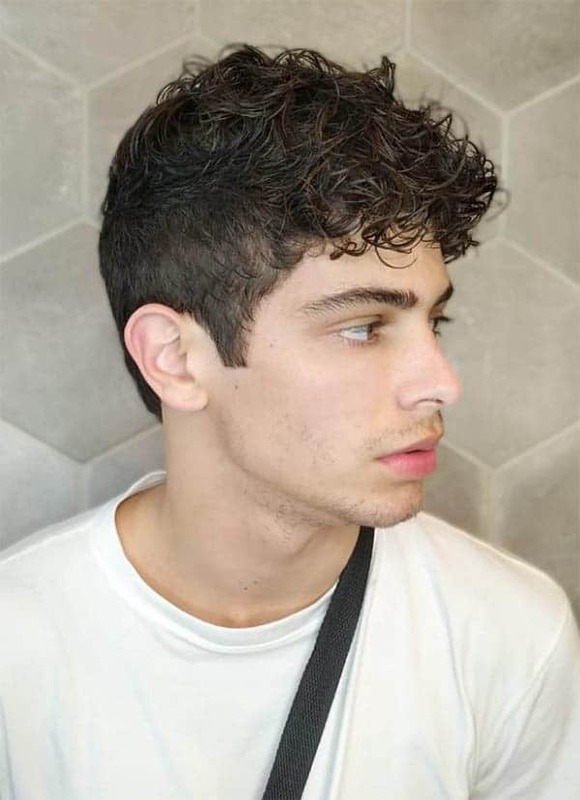 A wavy faux hawk is great for people with slightly curly hair or for people who want something a little less traditional. Curling the hair can be difficult but, if done properly, can look really good. Adding a beard to your wavy faux hawk will give your appearance a little bit of a boost. 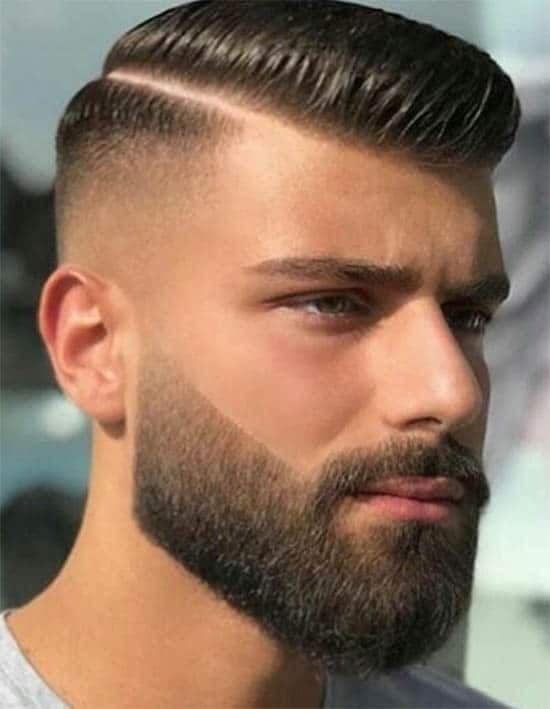 When you’re growing out your beard, try and keep it at a short to medium length so it doesn’t take away from the wave. 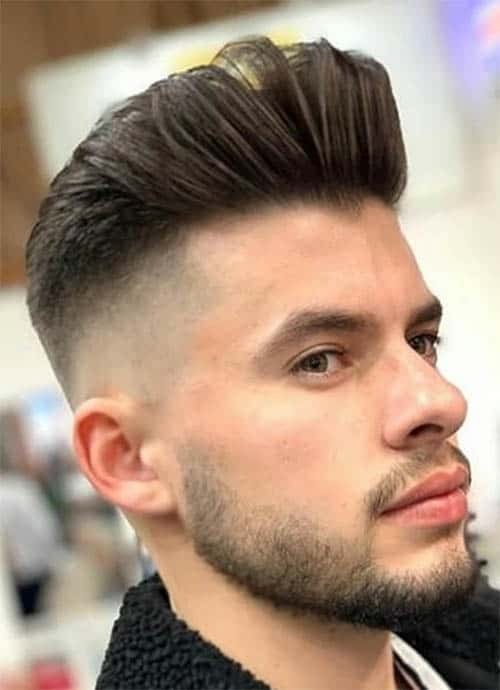 Adding a high fade to your wavy faux hawk will add a lot of emphasis on the top of your head and not so much the sides or back. 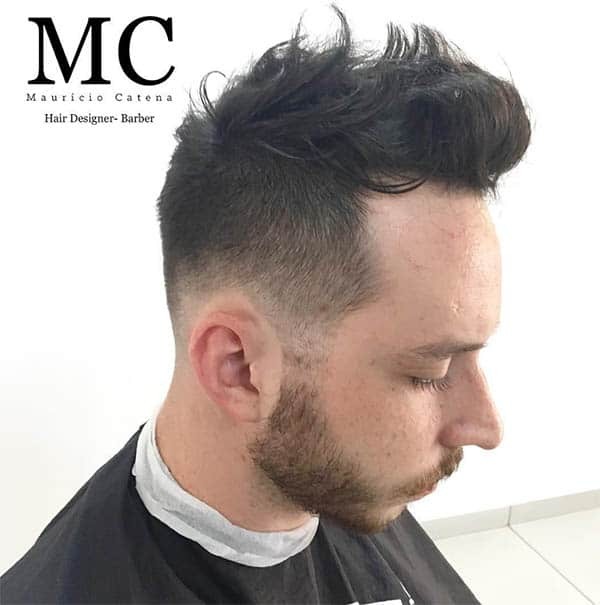 This is for people who want to make their haircut the centre of their appearance. A low faded faux hawk will give off the image that you have a fuller head of hair. This is good for people who want to have a faded haircut with a faux hawk, but don’t want it to be too flashy. 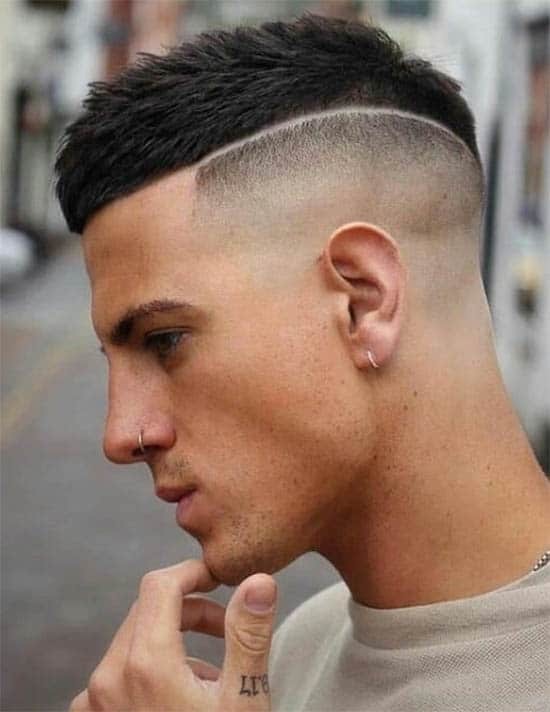 The skin fade with a wavy faux hawk is one of the most “out there” haircuts you can have. Making sure the waves are well defined before skin fading the sides will make the top of your head “pop” more. Messing your hair up a little and maintaining the faux hawk will give you a more relaxed, approachable look. It shows that you’re professional and well groomed, but also relaxed and not so up-tight. Tapering your faux hawk will give you a little more of a professional look. 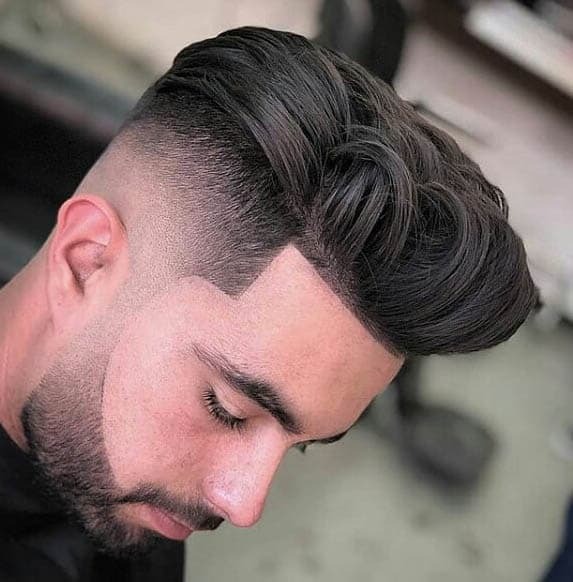 While the difference between an untapered haircut and a tapered one isn’t much, it can make a big difference in the long run. Spiking up your hair is one of those hairstyles that seems to have been around forever. While it isn’t the most flashy or most professional haircut, it can suit you nicely if you grow it out properly. 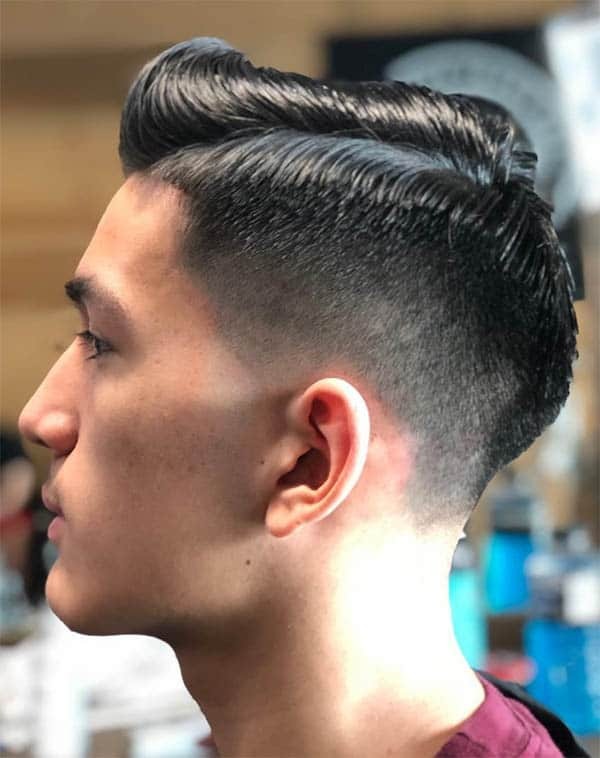 Having short sides when growing out a faux hawk is a way to come off more professional and well groomed when compared to the longer sides you could have. Blending or fading the sides create a nice appearance. 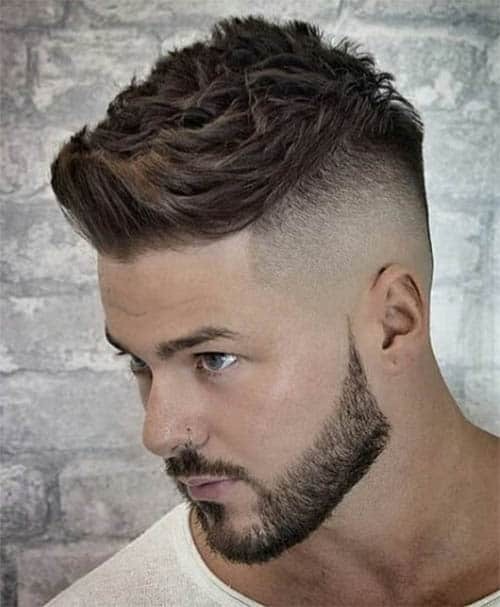 Opting for longer hair on the sides won’t come across as professional or clean as some of the other, shorter side variants of a faux hawk, but it can suit you nicely if you grow and groom it properly. 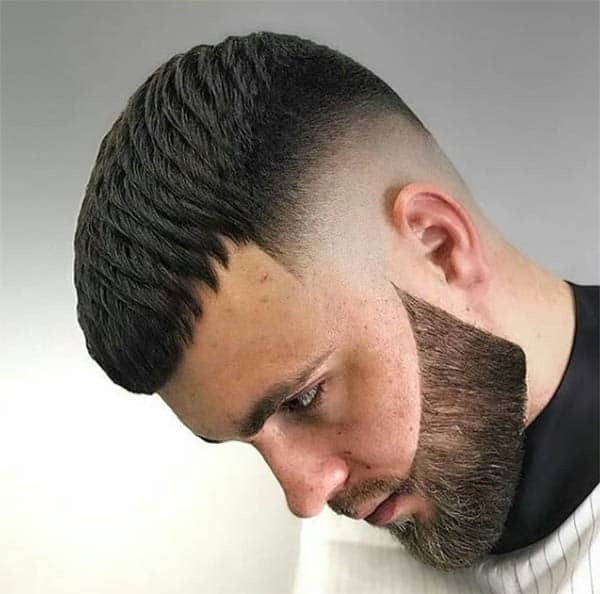 Famous for his haircut in the fictional game Call of Duty: Modern Warfare, this haircut is perfect for people who want to keep their hair very high up but don’t want a buzz cut. 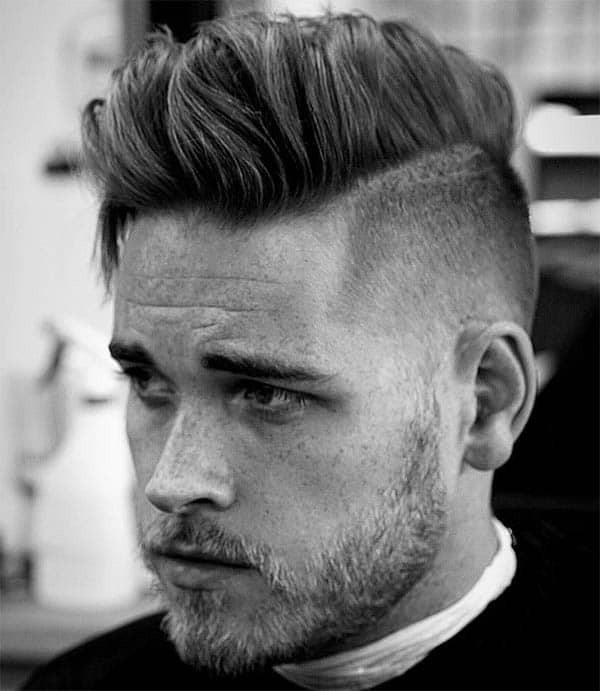 High fading your haircut and adding a part is more of flashy spin on the modern faux hawk style. Ensure that you have your hair properly grown out before adding the part so it doesn’t interfere too much. 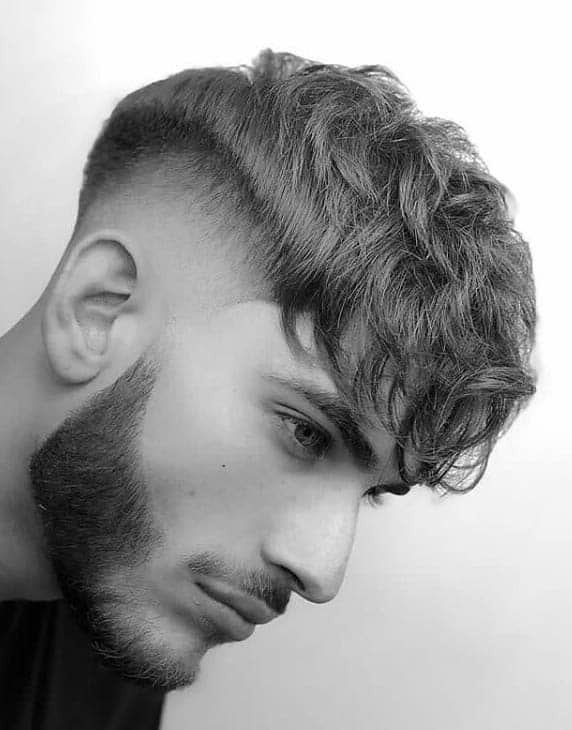 Low fading your haircut will give off a “fuller” look, but adding the part will create the kind of contrast that gets people’s attention. If you want to go for more of an aggressive look, make the part harder and wider. 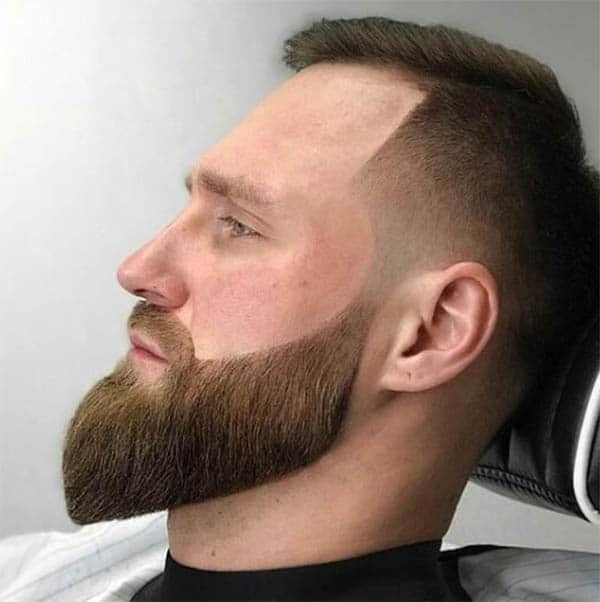 Going for the skin fade and adding a part can be tricky to pull off. 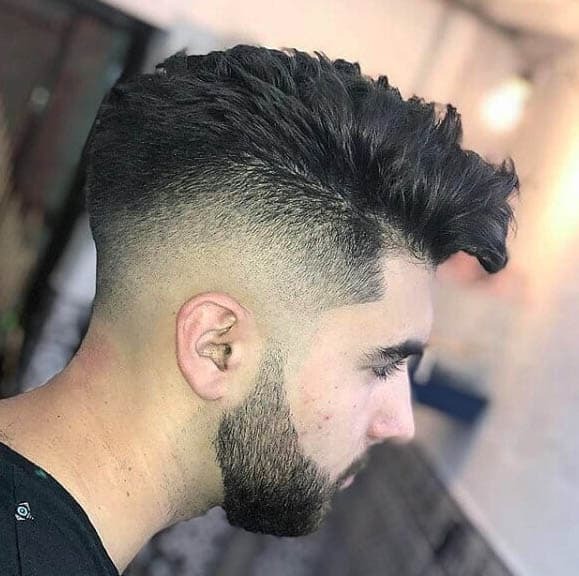 In order to get it properly, you might want to have a high fade to start and gradually work it into a skin fade so you don’t compromise the hairstyle. 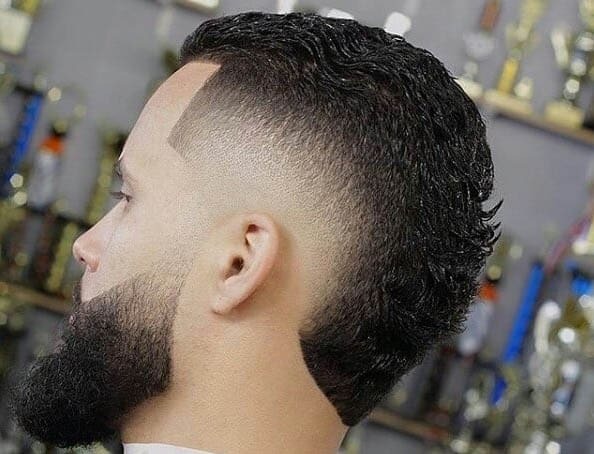 Adding a beard to a faux hawk fade with a part can be hard to pull off and easy to mess up but, if done properly, can make you stand out like there’s no tomorrow. Just keep the beard properly groomed. Adding a bit of colour to your hair is guaranteed to make it stand out and get people looking your way. When doing this, it helps to have the hair grown out, then dye it. This way you can colour it as your wish. 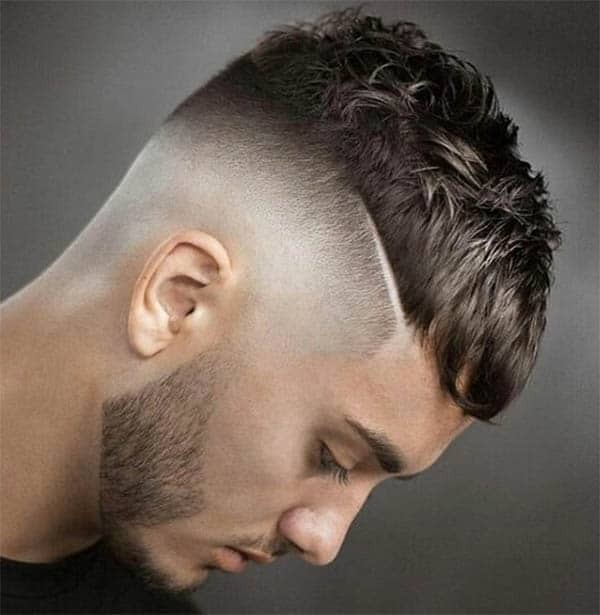 Fading the sides and back of your hair will allow you to add a little bit of contrast and make your appearance pop just a little bit more. This type of hairstyle will allow you to personalize your hairstyle a lot more. 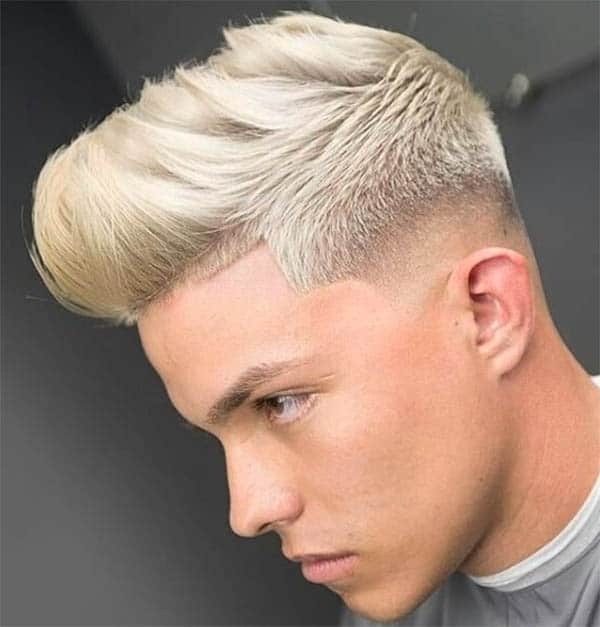 Keeping your hair short while colouring it will make it stand out just a little less and take away some of the “flashiness” of a coloured faux hawk. This is for people who want to stand out but not too much. 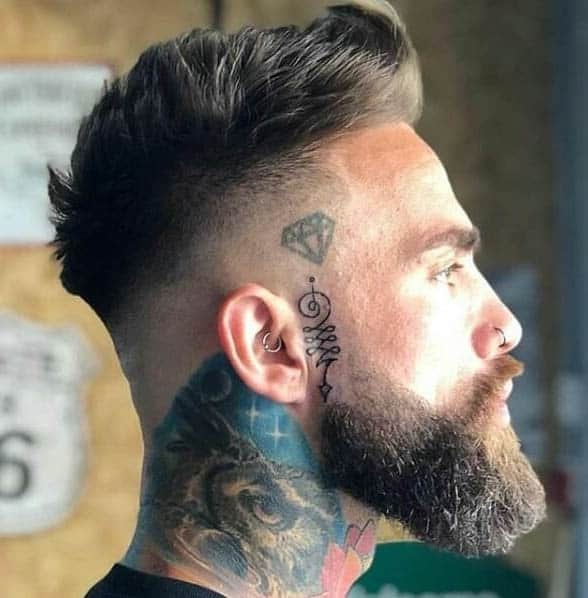 Adding a beard to your short faux hawk is great for adding contrast to your appearance and bringing out some of the prominent facial features. To maintain a professional image, ensure you keep the beard groomed. Growing out your faux hawk will create the image of there being a lot of action with your hair. It’s intense, stands out, makes your overall appearance and hairstyle look a little more modern. 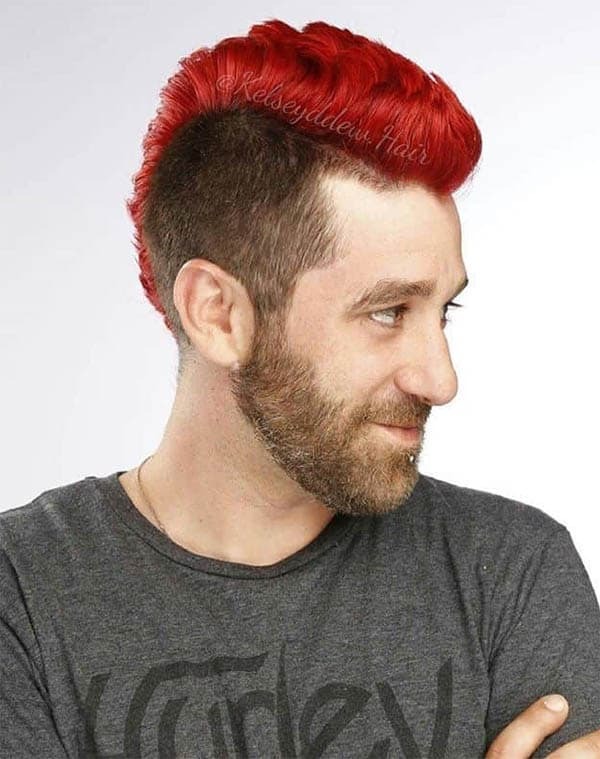 Adding a beard to a long faux hawk is great for adding to your appearance and making yourself more noticeable. 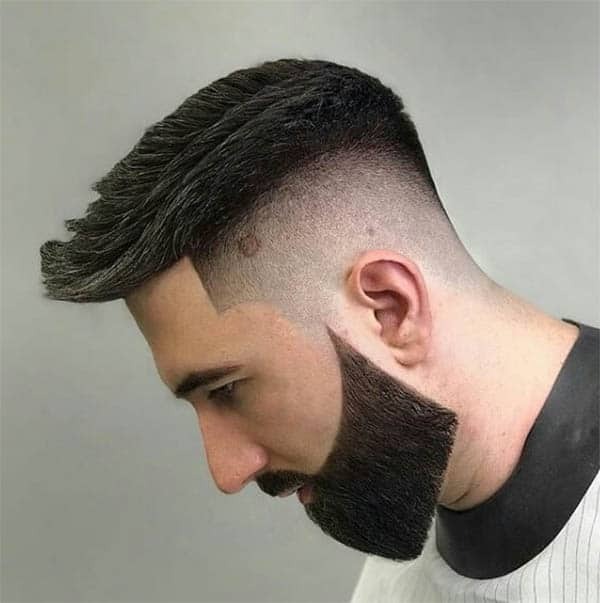 If you fade the sides and keep a beard with a long faux hawk, you’ll be adding a lot of contrast, as well. 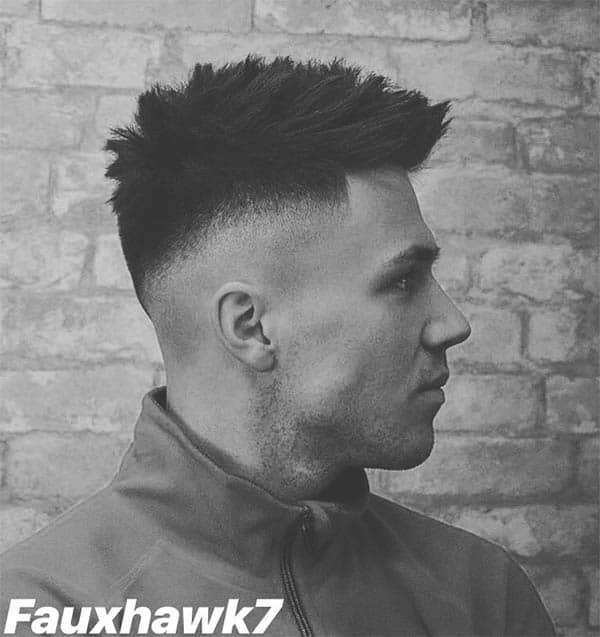 When it comes to stylish haircuts in 2019, you can rest assured that faux hawks will be one of the many styles you can work with. What you go for specifically will depend greatly on the kind of appearance you want and the kind of image you want to portray. It’s important to remember that good hairstyles take time, so be patient. And if it doesn’t come out the way you like, try another style- there’s plenty to choose from.